German Foreign Minister Joachim Von Ribbentrop (left), Soviet leader Joseph Stalin, and his Foreign Minister Vyacheslav Molotov (right) in the Kremlin signing the pact dividing Europe between Hitler's and Stalin's regimes on August 23, 1939. Vladimir Putin’s use of World War II as a legitimizing and mobilizing tool in Russia today. The history of these events is by its very nature murky and can be reconstructed only by a careful reading of Russian archival materials, Petrov suggests. 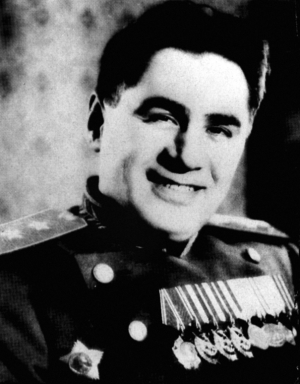 But the basic facts of the case are these: In the first days after the German attack, Lavrentiy Beria on Stalin’s order directed NKVD officer Pavel Sudoplatov to meet with a Bulgarian diplomat to explore what it would take for Hitler to stop his invasion of the Soviet Union. 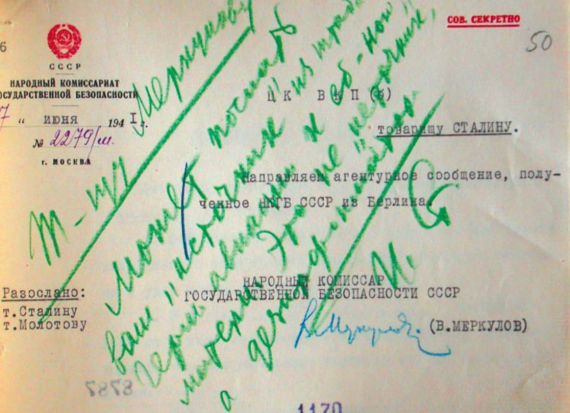 Obviously, disclosing anything of Stalin’s proposal then or later was incredibly dangerous given that such things would have constituted treason in the clearest way, but information about them came out in the interrogations of Sudoplatov and Beria in 1953. And Petrov mines these sources for his article, even reproducing the key Sudoplatov declaration. Why did Stalin save the life of Hitler’s gauleiter in Ukraine who sent to graves 4 million people? Who started World War II and who could start World War III?